Chinese Internet giant Tencent has been on a roll recently — for a while last week, it seemed that plenty of other Chinese tech companies wanted to be friends with the firm behind WeChat, a wildly popular messaging service in the country. However, a huge crack appeared in its veneer of popularity toward the end of the week when Chinese e-commerce giant Alibaba suddenly suspended its working relationship with WeChat, marking the start of war. Last week, Chinese telecom operators did a surprise turn-around after previously getting upset that WeChat was allegedly stealing users away from traditional SMS. China Unicom officially announced the introduction of a new SIM card that includes an independent data package for WeChat. Subsequently, it was reported that China Telecom would launch a plan that includes 2GB worth of data specifically for WeChat as well as Sina Weibo — though WeChat was obviously the focus of this package. Following that, Chinese smartphone manufacturer Xiaomi launched its latest Hongmi phone — at $130, it is the lowest-priced in Xiaomi’s range — in collaboration with Qzone, a social networking website owned by Tencent. Tencent seemed to be riding the wave of popularity throughout last week — until all of a sudden, Alibaba announced that it was suspending all WeChat-related marketing applications from its e-commerce sites. Alibaba cited misuse by sellers as the reason for doing so, but in the next moment, the company announced that it was launching a “Weibo-Taobao” platform to make it easier for customers on the Twitter-like microblogging platform to shop on e-commerce site Taobao. Interestingly enough, it was also revealed that Sina Weibo will provide Taobao sellers with marketing services. This suspension of any existing working relationship is a clear indication that war has started between the two Chinese Internet giants — Tencent and Alibaba. It would seem that the two make unlikely rivals. The former focuses on providing service portals, while the other mainly dabbles in e-commerce. However, Alibaba — which makes more money than eBay and Amazon combined — has been showing interest in tapping into the social market. It took an 18 percent stake in Sina’s Weibo in a bid to slow down Tencent’s WeChat success and also bought 28 percent of AutoNavi, China’s top mapping system, suggesting that it is focusing on maps as another prong of its social strategy. This comes as Tencent revealed last year that it was looking to expand its business into a number of new areas as it sought to increase its already sizable online presence and appeal to advertisers — one of which was e-commerce, which would infringe on Alibaba’s presence. Subsequently, it created an e-commerce subsidiary called Tencent E-Commerce Holding Company. Just recently, Tencent also led a $150 million investment in design-focused e-commerce service Fab.com, aimed at helping the firm learn more about global e-commerce models. Tencent’s dominance in the social market. The power of social is something that every company aspires to have. Communities form opinions and can ultimately define future products and services, according to Jeremiah Owyang, an industry analyst and partner at Altimeter Group. Right now, it is clear that even if communities haven’t entirely started defining products and services yet, they can decide which ones should get the love. This means that if you have the community on your side, you have a significant advantage. And Tencent has the power of communities on its side, which could easily become a force to be reckoned with. QQ had close to 800 million active accounts at the end of 2012, while WeChat has nearly 400 million users in all, out of which there are 195 million monthly active users. This means that any new initiative rolled out by Tencent, such as e-commerce, could very possibly tip the scale to its favor. 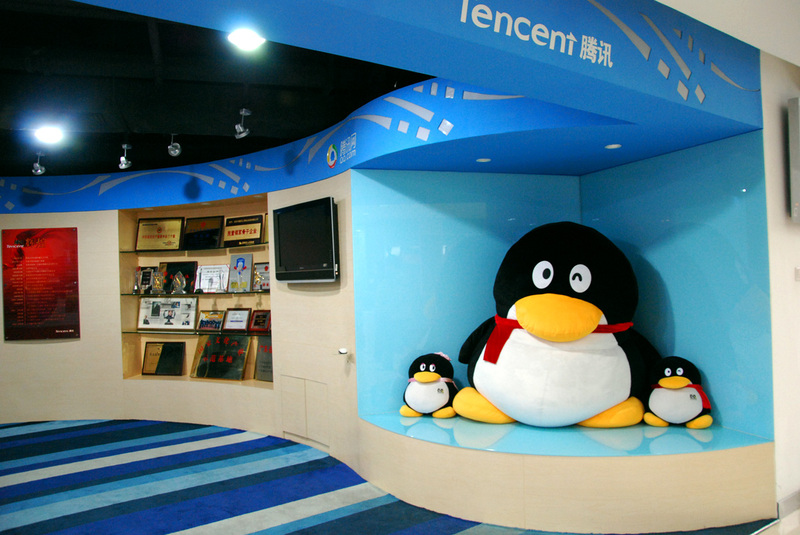 Even though Tencent has not started mapping a clear route to develop e-commerce, its dabbling into selling peripherals such as stickers and games could see it inch slowly toward rolling out more products. Furthermore, Tencent has the payments solution in place to enable possible e-commerce. The company owns Tenpay, a PayPal-like online payments solution. Its QQ platform also has a virtual currency already, while the latest update to Weixin (what WeChat is known as in China) saw it introduce mobile in-app payments linked to a banking account which is in turn supported by TenPay. A Sina Tech report noted that by introducing payments onto WeChat, Tencent is literally declaring war on Alipay, the mobile payments company spun off by Chinese e-commerce giant Alibaba. The report cites a source close to Alipay as saying that the company had already sensed the impending threat of TenPay being integrated into WeChat, and has been developing new techniques to head off the challenge – for example, it recently announced a major update of its mobile app, Alipay Wallet. Alibaba has shown all intentions of fighting this war to victory. Newly-installed Chief Executive Jonathan Lu has pledged to continue the e-commerce giant’s recent string of big investments as it continues focusing on improving its services for mobile. Lu wants Alibaba’s service – and in particular its two biggest e-commerce businesses: virtual ‘mall’ for brands Tmall and eBay-like Taobao marketplace – to make better use of customer data to provide a more tailored user experience. However, even Tencent’s rival — and Alibaba’s ally — Sina has publicly admitted that WeChat is causing its users to spend less time on the Twitter-like Sina Weibo service. In other words, Tencent isn’t China’s biggest Internet company without a reason. By harnessing the power of social, Tencent has laid its foundation well and could easily spread its influence into a wider variety of businesses. John Hancock once said: The greatest ability in business is to get along with others and to influence their actions. The community that Tencent has painstakingly built up over the years will lead to much easier influence in the future, which bodes well for its business. On the other hand, Alibaba needs to brush up on its social influence in China. It is doing swimmingly well in its main businesses — which include e-commerce, financial solutions and big data — and has been tipped for a multi-billion-dollar initial public offering (between $60 billion-$70 billion), but its lack of a persuasive social strategy still sticks out like a sore thumb. Could the tables turn though? Definitely, considering that Alibaba has already recognized this and is taking steps to beef up its social strategy. In war, victory is always possible as long as you keep fighting. 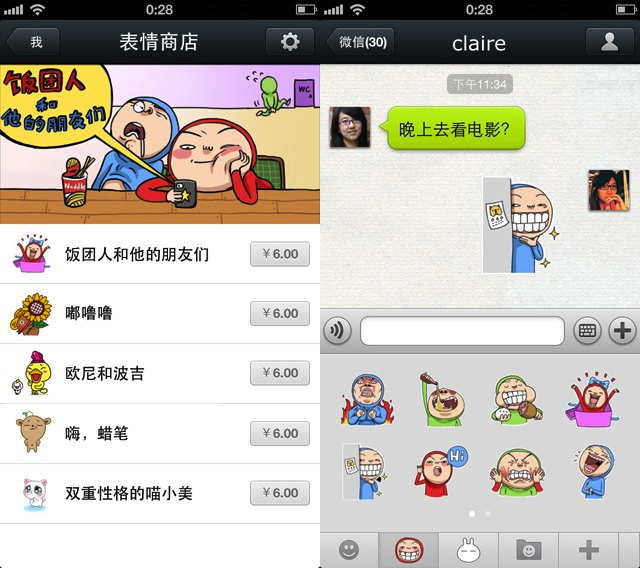 Who knows, Alibaba could one day just as easily roll out a phenomenal success like WeChat.